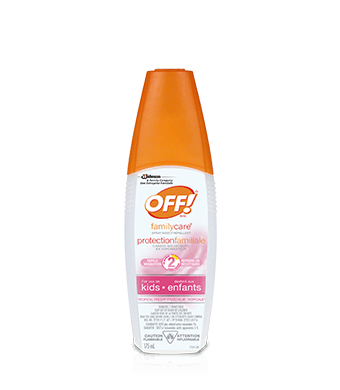 Experience OFF!® with a refreshing, light scent. 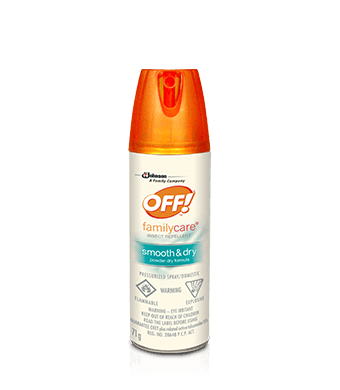 OFF!® FamilyCare® Summer Splash® contains aloe vera and repels mosquitoes for three hours. 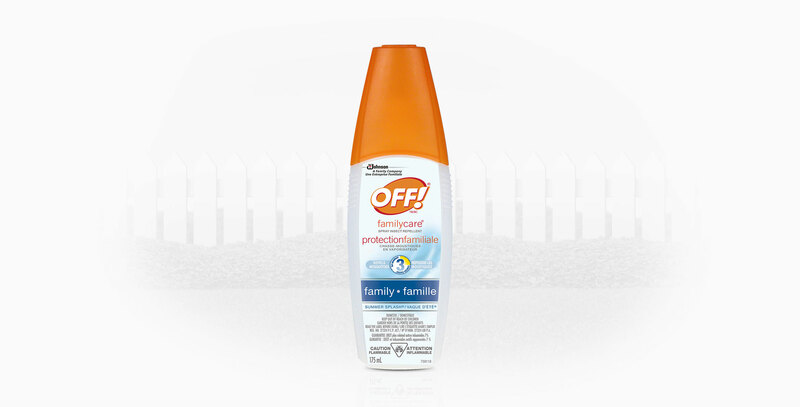 It also repels black flies, stable flies, ticks, chiggers, biting midges and deer flies. 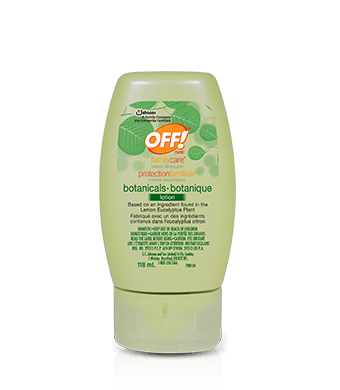 Repels mosquitoes for up to three hours. Apply sparingly, not under clothing and only when necessary. Reapply after 3 hours if necessary. Supervise applications on children. DO NOT USE ON INFANTS UNDER 6 MONTHS OF AGE. In 6 month to 2 year olds, do not apply more than once a day. Not for daily use. Avoid application on hands. In 2 to 12 year olds, do not apply more than 3 times per day. Avoid contact with eyes and mouth, rayon, dynel and acetate, plants, furniture finishes, plastics, and painted surfaces. Keep away from open flame or spark.